A wonderful find in the Glenbrooke North neighborhood. 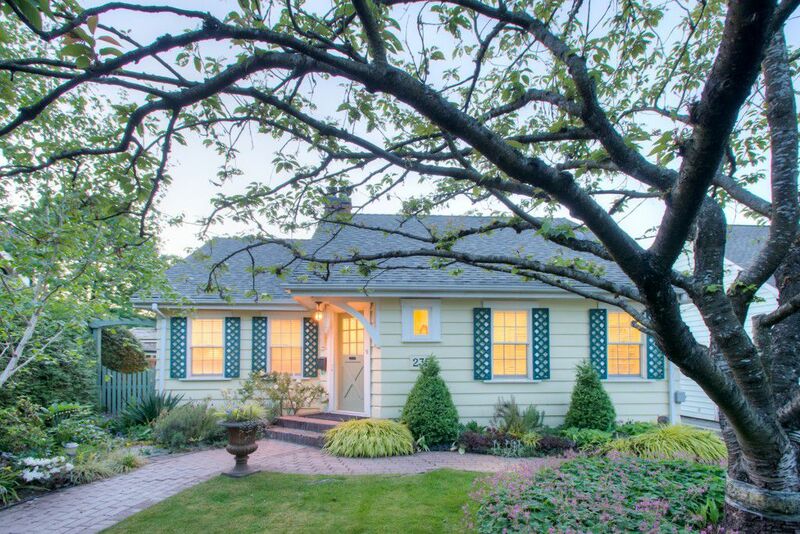 Get inside this charming mechanically updated 1938 Heritage home. Fall in love with this bright large main-floor: two bedrooms plus a den. Spotless, functional large kitchen with large eating area that walks out onto a private patio overlooking very well cared for gardener's-dream backyard. Two newer bathrooms: one on main and an ensuite upstairs. One-of-a-kind large den with custom fir ceiling and comfy gas fireplace. The top floor has been converted to a large master-bedroom with loads of closet space and a full 4-piece ensuite. The basement is bright, with reasonable height. It has a large rec-room/guest-bedroom, hobby area, work shop and laundry. This home enjoys a walk score of 91: 'Walkers Paradise'. This home has been completely rewired, replumbed, chimney rebuilt and meticulusly cared for by the present owners for over twenty years. Easy walking distance to all levels of schooling, transportion, shopping and recreation.